To all combo teachers, special ed teachers, grade level teachers, intervention teachers, home school teachers, immersed parents, and others – See how YOU can provide optimal & personalized learning for your students and drive improvement with the power of DIFFERENTIATION on ScootPad. Today’s post will go over how to add and assign multiple learning paths so that students receive individualized & differentiated learning. 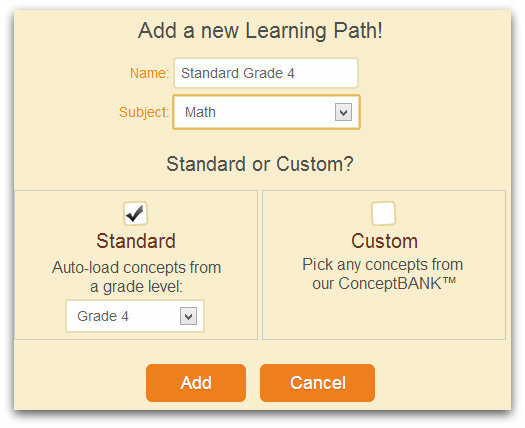 Choose the Standard learning path option for a specific grade (K-5) to start with a fully loaded path (grade specific standards) that you can further customize. 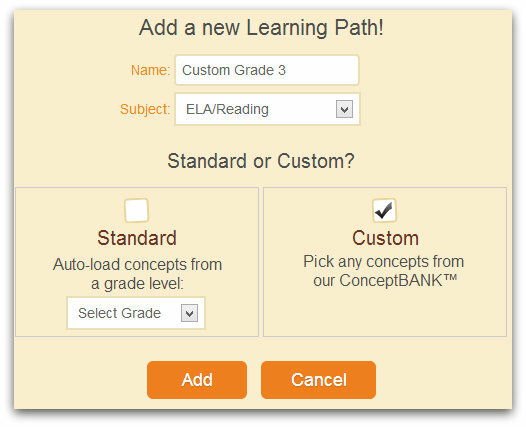 Place each student or group of students on their appropriate learning paths in BOTH Math & ELA/Reading. Students receive differentiated learning based on their respective learning paths! You can make changes to learning paths or re-assign to students at any time and all changes will be effective immediately. If you are interested in learning more, we recommend you to view our see-it-in-action video below which will show you step-by-step how all this can be done. Test Drive ScootPad with Demo Accounts!